Contrary to popular belief, there are just as many ways for women to lose their hair as there are for men. Our hair transplant method is an effective way to treat hair loss and hair thinning when other treatments have failed. 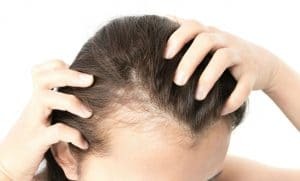 Our treatment works by taking hair from areas of the scalp with strong growth levels and placing these strands in areas where growth is an issue. Hair transplants have been used to treat baldness and thinning for over 50 years. Until recently, the technology and methods used offered obvious and even unsightly transplants. Our hair transplants for women rely on the latest technologies, which have been designed and tested by our hair loss doctors and scientists. With our technology and expertise, we can provide you with hair transplant procedures that look natural, so you can enjoy your hair again without attracting attention or unwanted questions. Why Should Women Opt for a Hair Transplant? For so many women, hair is central to identity, which is why hair loss is so difficult to cope with. If your hair is thinning or balding, you’re probably feeling incredibly hard done by, which is entirely understandable. With our female hair transplant procedure, you can get your hair back. You don’t have to accept hair loss as part of your future, other forms of help are available, you’ll love running your fingers through your thick, luscious and natural feeling hair again after undertaking a hair loss treatment program with Advanced Hair Studio.